BlackBerry Q10 sales strong in Canada | BlackBerry Blast! 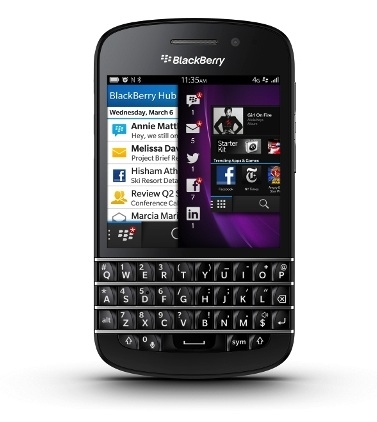 The BlackBerry Q10 is out in Canada and by all accounts is selling well. Several reports of strong sales and sell-outs in some areas are encouraging news for BlackBerry. The all touch Z10 launched to good, but not gangbuster sales. It looks like people were really waiting for that QWERTY keyboard before picking up a new BB. "Our checks indicate broad sell-outs with generally limited stock otherwise," Jefferies analyst Peter Misek said in a note to clients on Friday. "Based on our store checks, the BlackBerry Q10 has been selling extremely well and has been sold out or seeing limited availability in Toronto and across the U.K."
With strong Q10 sales and the recent DOD security approval things are lining up quite nicely for BlackBerry.